2nd Show Added for the Museum of Science Planetarium Concert! 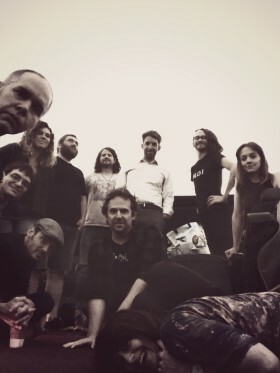 Join Hallelujah The Hills as they perform ten songs from their decade-plus exploration of inner and outer universes underneath the stunning dome-screen at the Charles Hayden Planetarium. Due to high demand for the 7:30PM show, a second show has been added at 9PM; tickets on sale today. The five-piece band, once described by The Boston Globe as “the sound of music without limits,” will expand to a full-orchestra-version for these performances only. Special guests include Josh Kantor (Red Sox organist, Jim’s Big Ego), internationally lauded singer/songwriter Marissa Nadler, seven-time Boston Music Award winner Will Dailey, Dave Curry (Thalia Zedek Band, Willard Grant Conspiracy) on viola, and a choir including members of Boston Cream, Long Gone, Headband, and Land of Enchantment.